My name is Karolina Zawodnik and I am black belt from Poland. I am a kids and women coach. 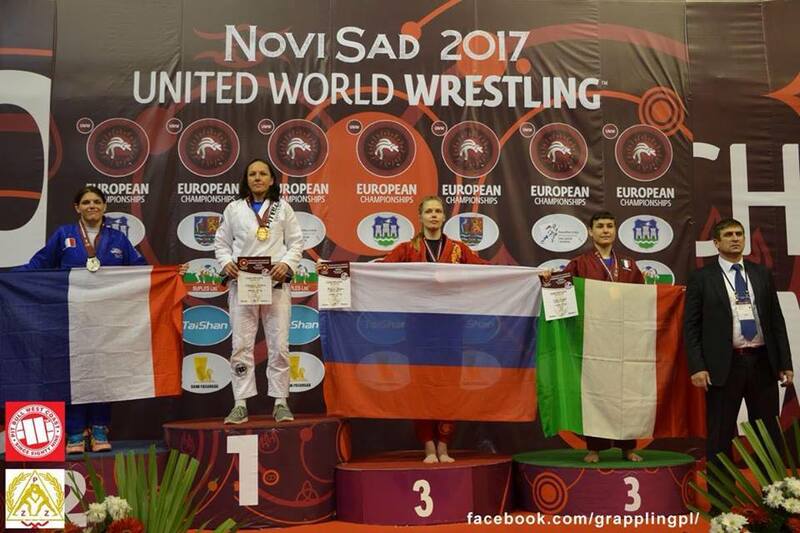 I am the first woman from Poland which took second place in a black belt adult division. And when and how did you start doing BJJ? My adventure with BJJ has started in 2003. Before that I was training judo and my friend took me to a BJJ class. I fell in love with that sport immediately. And since when you are a proud mum? I’ve been a proud mom since two years from now. That’s the best thing that’s ever happened to me. Now I am truly fullfilled and satisfied. Before I didn’t feel that way even after loads of successes in sport. Up to 5th month I was training normally, as before. After the 5th month of pregnancy I started to attend yoga classes 3-4 times a week. I was feeling excellent. And how long after giving birth did you start again? I had a C section. 3 weeks later I came back to my usual trainings. After 4 months I became a polish champion. Coming back from a C-section is not easy at all. How did you make it in such a record time? 3 weeks after the C-section i started doing exercises on the stability ball with the Thera-band. It helped me to strenghten my deep abdominal muscles. Additionally i did some light jogging. I did that for four weeks, and after that time I returned to normal Bjj training. Obviously i had to pace myself and be not so ambitious in the beginning. After the pregnancy break I was feeling highly motivated to come back to my beloved sport. How often do you train now? I am having BJJ training 2 times a week plus go 2-3 times to the gym. At the gym I’ve got my personal coach and we work individually. That’s enough to keep me fit but when my daughter Kaja grows up a little bit more, I will increase my training again. I’ve got my own BJJ school for children and I am coaching there. 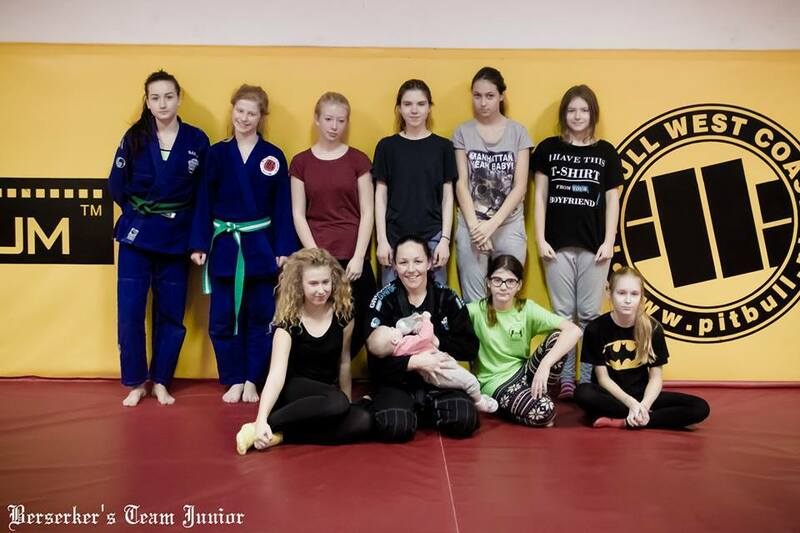 Additionally I am running training for women under the name of my coaches club – Berserkers Team Szczecin. And how do you handle training with your daughter? Do you take her to training? Unfortunately right now I can’t fight in front of my daughter because she gets nervous and thinks that I’m getting hurt, then she cries. So sometimes I’m taking her to the kindergarten group. Other times, if I can’t take her t the kindergarden and my partner works in the afternoons, then I take her to the women training with me. Some ladies from this group help me with her, many of them are mummies too so they understand. If Kaja is in a bad mood and I have to take her with me, the only thing that helps are “electronic babysitting”, that is, to play some cartoons on my phone. I don’t have unfortunately any way to handle this. Unfortunately there is no special magic trick, every child is different. What has been the most difficult thing you have done so far as a mother? 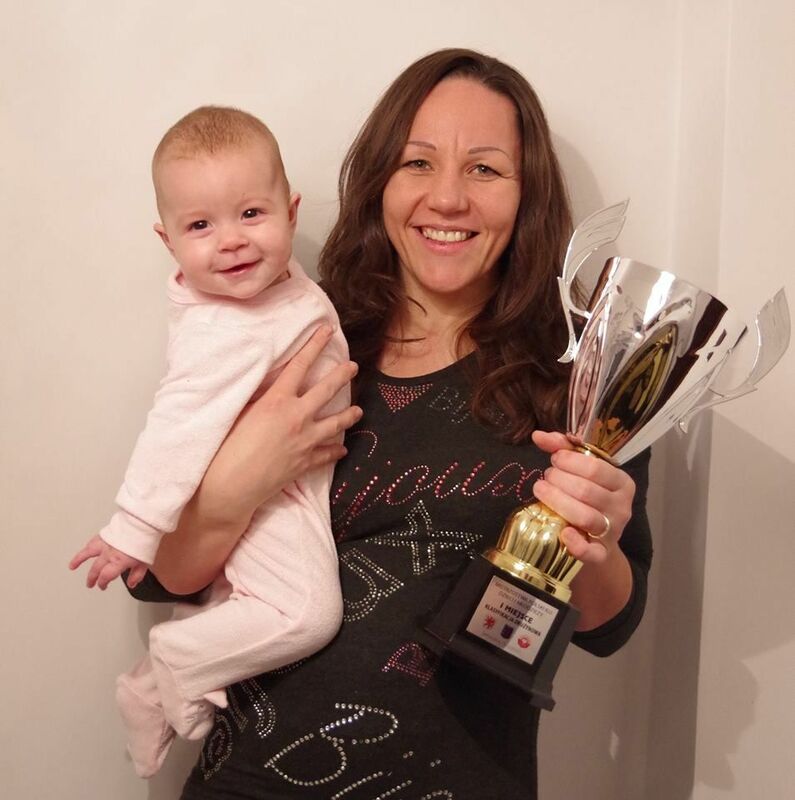 The first time I needed to leave my daughter for one day and one night as I was going to take part in a championship. I felt very bad as it was very hard for me. Now she understands more and knows that mummy’s going to competition. At the moment I am preparing for the World Championship in grappling that will take place at the end of November. 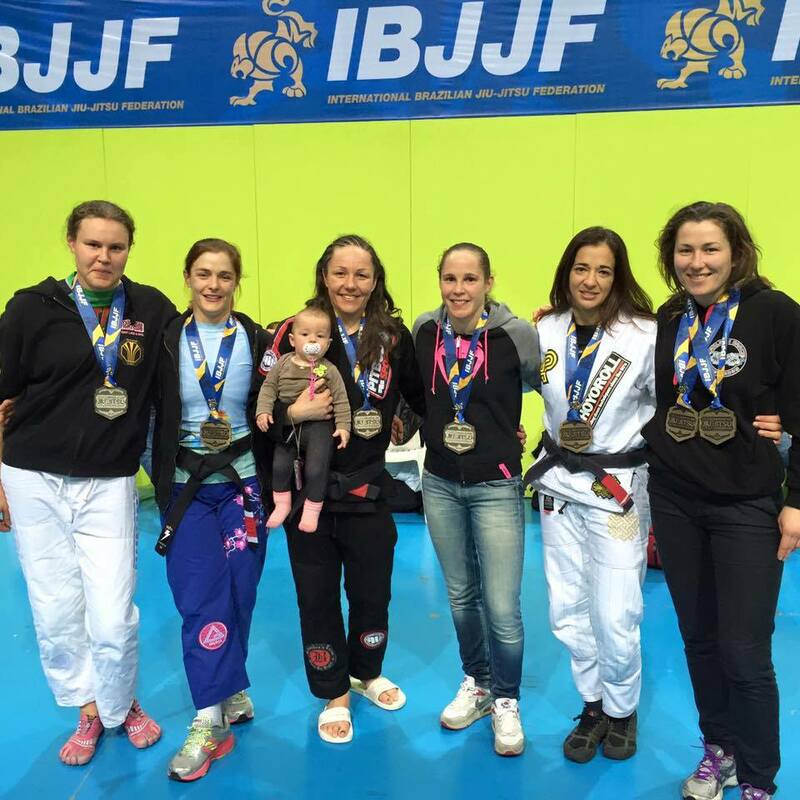 What would you advice to the others female athletes trying to combine motherhood and BJJ training? I would advise them not to be scared of leaving their child from time to time with somebody else in order to do something that is important for them, like for example to attend training. Kids development with other children is good and the quickest, so it is worth to leave them in company of contemporaries and that way, at the same time mummy will have a bit of time for her passion.